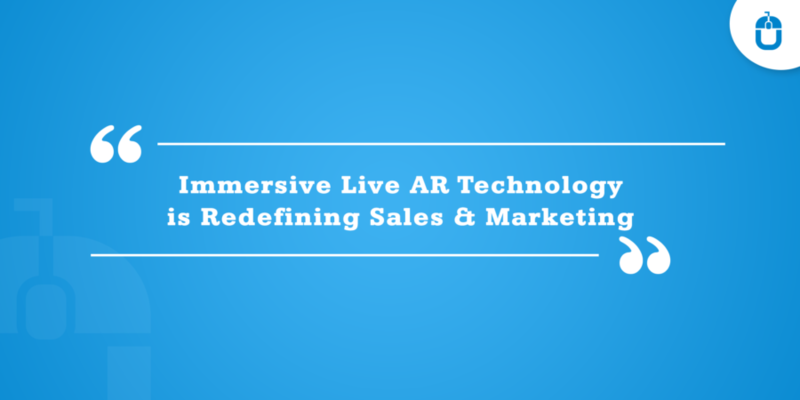 Every product, whether a popular or new, reaches to a stage in its growth graph, wherein it requires the completely new approach and the packaging o reach to its user base and allure them further. This fact is very well applied on the apps as well, where the after a certain time a new approach has to be picked by the marketers, to re-launch the app with new energy and engaging factors. The great instance in this context is of tinder, which has already crafted an image in the market as a Dating app, but this has sufficed its user base to dating only, however, now Tinder is rebranding its app, with a new tagline- Adulting Can Wait, which clearly states that now its audience base would grow wider and bigger, where the platform would be more than dating. Eventually, rebranding is a concept in which the product is transformed in order to change the look and feel it delivers to the customer. Also, with the new approach, a product breaks its old and negative image and creates a new one to change the perception of the people and draw their attention towards it. Modifying the product also provides a platform for the companies to customize their product as the latest requirement and trends of the market. So we can say that proper usage of this concept is quite beneficial to speed up the slow progress of the business. So, before infusing this concept you just need to find out the right time. Yes, you heard me all correct! There are few indications, which must be considered before implementing the rebranding approach for your mobile app. Every mobile app goes through a good or bad phase. But if its image or reputation is not as good as expected than transforming it can be the perfect decision. Your app is expected to break the boredom and bring oodles of ease for the users, but if it delivers the result which is not satisfactory and convincing then nothing can persuade the users to use it and recommend it to the others as well. Bad user’s experience always hampers the growth of the company and product-both. So, if you really want your app users to return to your app, then re-launch it with a much aggressive approach and ensure that your app fits the demand of the users this time. I agree you must have a satisfying the user base currently, but in the competition era, you cannot expect your app to survive for long, as sooner, there will be a number of apps either imitating your features, or offering something better than yours, hence keeping your users stay glued to your app in the adverse situation to come, is a necessity. You must not wait for the destruction to befall on you, rather you must attract the users towards your business or service with the elements, which can actually change your app’s future. We all know that consumer is the king of the market and if the consumer is not content with the services with your app services, then expecting your business to turn into a brand, is a foolish task. Remember, brand loyalty plays a crucial role to augment the customer base. You might be thinking that how this can help to get the more users? Come on let’s have a look at this. If your app is creating a good impression on the users and justifying the purpose of your business then definitely they will recommend it to the others and will also stick to your brand and services. The rebranding approach helps your business to increase the engagement of the potential and existing user base. The demands and needs of the users are ever changing so then you don’t need to sleep on your existing users’ number, rather you must work consistently around your app to improvise its existence. 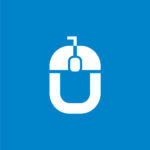 Every business or service, after a passage of time, needs something additional to entice users. However an app is a great strategy to engage users, but this very strategy too needs something extra after some time to engage users. If your business has started to experience slow growth or decrease in demand, then this shows that there is something lacking and it needs to be worked upon. So, to meet the latest demands and expectations of the people, rebranding can be a great option. With this approach, you can work to improve the quality of their products and also upgrade it as per the requirement of the users. Studying the market is an important aspect to survive in the market. If you do not accumulate the adequate knowledge and information regarding your app and other competitors existing in the market, then you can never gain the edge over the competitors. To combat this issue, the transformation of the existing app is required. With the changing scenarios, everything needs transformation only then the competition can be handled. Asses the features, qualities, and behavior of the competitors’ app and give something better and much engaging than the existing solutions. 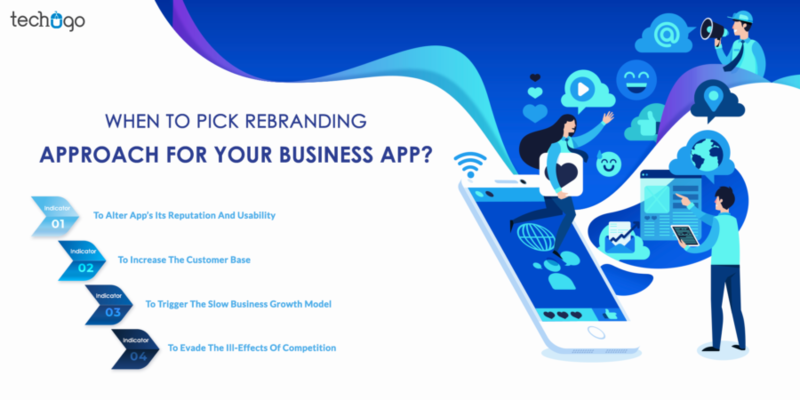 Last but not least, rebranding your app or business, opens a floodgate of opportunities for you, therefore you need to be extra cautious while picking the right strategies around it. These simple yet intriguing indicators can help you understand how an app concept can be rebranded to garner larger user-base. So, if you also want to give a boost to the slow progress of the company and rejuvenate your mobile app product, then without a fail you must reach the expert team of marketers, from a leading mobile application development company to help your business and its services to be re-worked upon, so it can be re-designed to and make a never-ending connection with the users.